As we wandered around Florida in late January, being amazed by big birds, we spent a few nights at Fort Meyers – a handy place within easy driving distance of several attractions. One such was the Naples pier, which the Big Guy had read about. It was a Thing, apparently, to go down to the beach near sunset – whether to watch or to take pictures. I stood where I could see both the pier and the sunset and took a lot of photos – many of them virtually indistinguishable. It was a bit tricky – a flatter angle would have gotten more of the pier, but also likely some of the on-beach photographers. When I saw my results, I wasn’t thrilled. My shots were OK, but not interesting. Then I flipped through some of my earlier shots. I liked the composition of this one, taken on the other side of the pier several minutes before sunset, but the light was so-so. Finally, there was this one, taken where the sunset has to be almost inferred. I liked the quality of the light in this one. Now what I want is the opportunity to do it again – maybe several times – to test my theory that I’ll be happiest with a photo taken where I can see the sunset’s glow reflected on the pier’s timbers, but far enough back that I get a nice angle on the pier itself. I take more photos when we’re travelling, but this, I guess, is why it’s a good idea not to neglect my own locale, where I have the opportunity to revisit places under many different lighting conditions, and as often as I choose to make the time for. I am endlessly fascinated by light on water partly from having thought at length about how to render reflections in oils or water colours and about how to describe particular experiences of light on water. The first photo sets a scene with beautiful colours and no suggestion of events, the ideal “wish you were here” (and so I do) postcard image. The second photo is too vague (except in the memories it evokes for the photographer) to create much impression of place, time, or purpose. The third photo plays off the light on the pier so strikingly that it becomes the chief property in a drama. The human structure running into the infinite sea is a powerful statement, augmented by its curious roofed attachment and the figures silhouetted on its deck. The imagination of the viewer is given many memes to explore, moved by the warm sunset light on wood to which the pastel light on the shore waves is a poignant emphasis. Does your new novel begin or end here? Laurna – LOL – it sounds like maybe you have a novel that wants to start/stop here! The light is wonderful, isn’t it? I begin to understand why professionals take so many shots: It’s good to have options later. I heard about a wildlife photographer who spent 3 months on a wildlife viewing platform to get that one perfect shot. Yikes. …and those two little birds (?) in the mid-foreground left-side water are “happy dots” in the last photo. Happy accident? (Say no. 🙂 They made a third-element (always essential in a good image) — a triangle: the men above, the lit wave below and the birds. 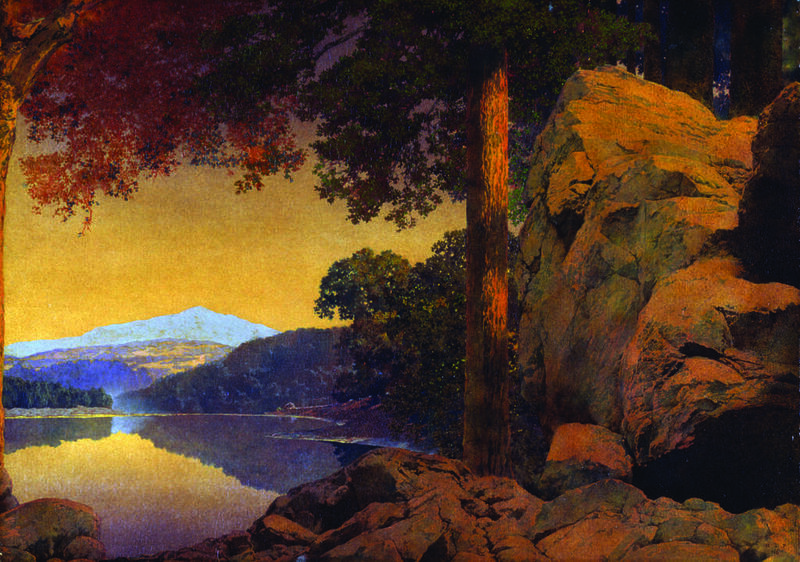 It also has a Maxfield Parrish mode to it; and a Japanese woodblock feel. Barbara – Happy accident? Certainly not! I waited for them to float into range in just the right place. (Not.) I need to read about good images, I think.